Hair + Makeup Artist Daisy Dennis Has Star Quality! Carrie: Hi, Daisy! I’m so excited for this interview. I know that you have a ton of wisdom when it comes to the beauty world that you can offer to my readers. Ready to begin? Daisy: Yes, let’s do it, babe. 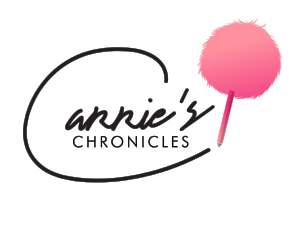 Carrie: How do you think the beauty world has evolved over the past couple of years? Daisy: We have more precise and accurate colored products, better tools, and we are not afraid to go overboard. It’s innovative, socially acceptable, and achievable with limitless access and knowledge. Daisy: Always have a small touch up bag with blotting powder, mascara, and lip gloss or lip plumper in it! No secret tricks other than to always expect the unexpected. Carrie: And how about a quick and easy hairstyle for people to do when they’re on the go? Daisy: A high ponytail with a piece of hair wrapped around the hairband. It makes a world of a difference...never let anyone see your hair tie! Carrie: Gotcha! Let’s talk tricks. Do you have a secret to achieving the perfect smokey eye? Daisy: Good products! Primer, primer, primer, and a good blending brush! Carrie: Haha. It’s so interesting how primer used to be for your face but now everyone is really focusing on using it in the eye area! Anyways, next question: what are your number one hair and makeup products at the moment? Daisy: My number one hair product line is Oribe. Their products smell good and work really well. My number one makeup product is my Tom Ford Traceless Foundation Stick! Carrie: Okay, currently adding those to my shopping list. I’ve also been thinking about buying some hair accessories lately since they seem to be very popular. Jennifer Lawrence wore the most gorgeous flower crown to a movie premiere this past September. Do you have a favorite hair accessory? Daisy: Personally, I don’t have hair accessories. Unless a good brimmed hat counts! Carrie: That totally counts in my book! Now there’s this huge beauty myth that I wanted to get to the bottom of. Is too much heat styling really that bad for your hair? Daisy: It is bad. So style your hair but don’t wash it for a few days and leave that style. Use dry shampoo if necessary and heat protecting products beforehand. I’d say use a heating tool only once a week. The no-makeup makeup look or full-on glam? Power brows like Cara Delevingne or au naturel like Gigi Hadid? Glitter makeup or heavy metal makeup?